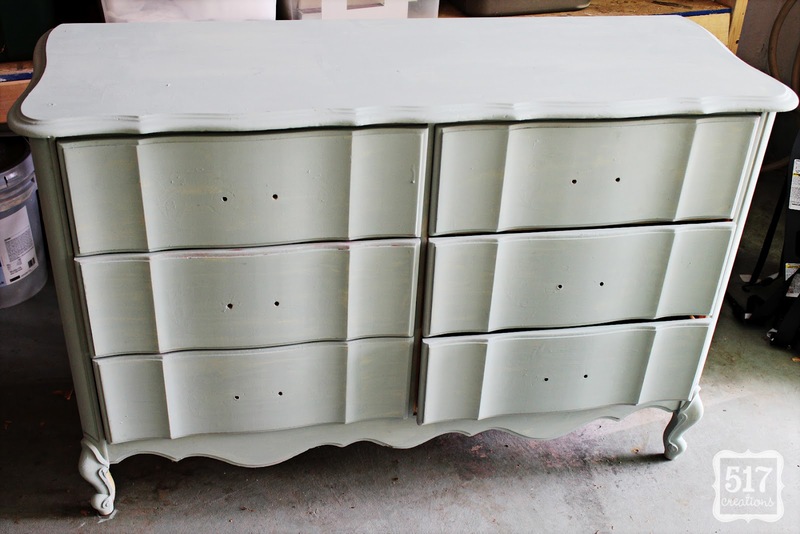 I showed you the amazingly ugly (but with good bones) "before" of our changing table/dresser for our baby girl's nursery a few weeks ago. Here's a little refresher. 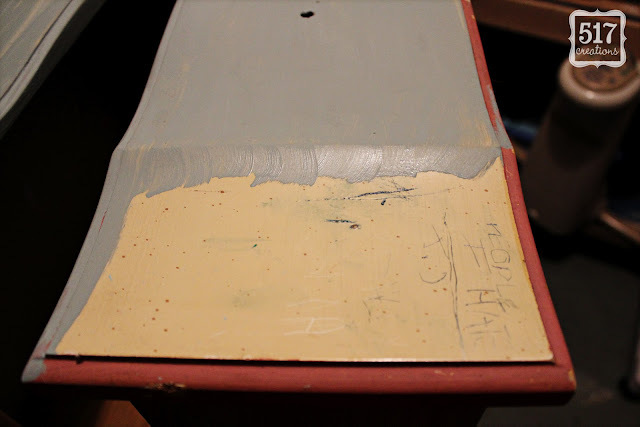 Some sweet little child took a pen to it....and I didn't even realize until I edited the photo that it's a list of "People I Hate". Ahh! Poor TJ was the only soul on the list so far. 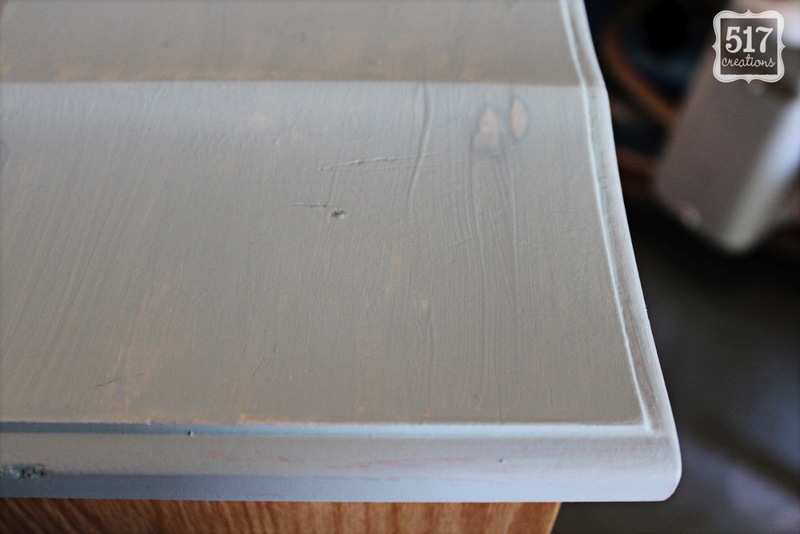 Here is that same corner after one quick swipe of Duck Egg blue. Amazing! That one tiny little 4 ounce sample pot was enough paint to cover almost the ENTIRE dresser with one coat of paint. Can you believe it? 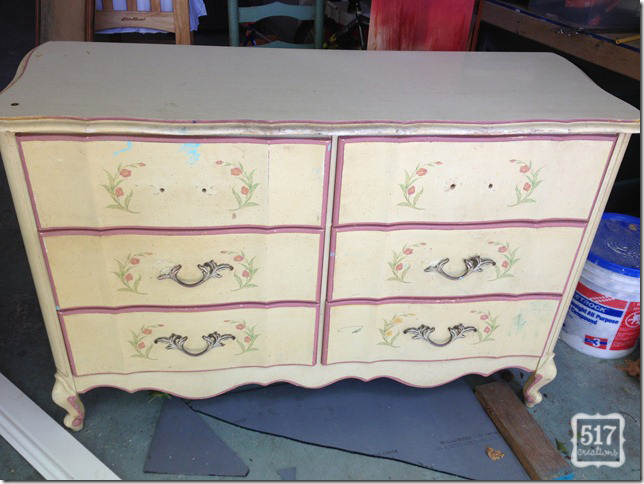 Here's a quick "during" shot of the dresser. 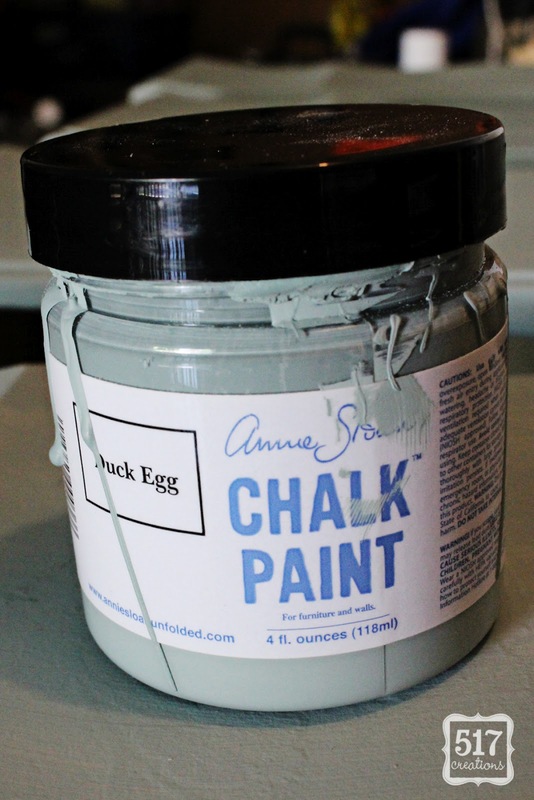 What have you painted with Annie Sloan Chalk Paint? I love that! I've been looking for a way to redo Jonah's boring dresser, I think you've inspired me! Well, a definite improvement so far! It's good to know how far a sample pot goes. I can't believe how little paint you used! I will have to try some Annie Sloan paint soon :) Can't wai to see how it turns out.